Dodgers Players Read Camino Grove Student Letters! The Los Angeles Dodgers visit Camino Grove and feature student letters in the team's annual holiday video! 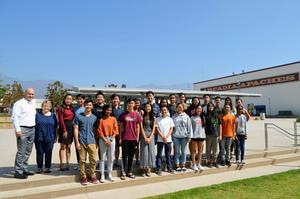 Arcadia High School has had another impressive showing in the National Merit Scholarship program, with 23 Arcadia High seniors distinguished as 2019 National Merit Scholarship Semifinalists. Out of more than 19,000 public high schools across the nation, Arcadia High School ranks in the top 1 percent of the best public high schools in America. Nearly 4,000 Arcadia High School students and staff come together each year to pay tribute to those fallen on 9/11, which powerful history lesson reminds students about the importance of resilience, tenacity, and support one another in times of strife. Arcadia Unified ranks as the best place to teach in the Los Angeles area for the second year in a row according to Niche.com. Holly Avenue and Longley Way Elementary Schools in Arcadia have been named California Distinguished Schools. Honoring “some of California’s most exemplary and inspiring public schools,” the California Department of Education recently released its list of schools that received the state’s top recognition. 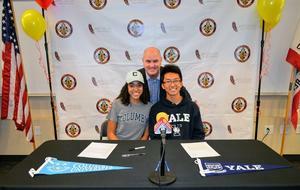 A double tap unlike any other for Arcadia Unified School District’s Instagram page. In its “Top 10 Best School Instagram Accounts” list, BuzzFeed named the Los Angeles County school district among the top educational accounts, including college, high school, and elementary, in the world. 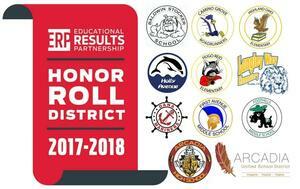 Final report card season is underway, and each Arcadia Unified school has made it onto the 2017 - 2018 Educational Results Partnership (ERP) Honor Roll. 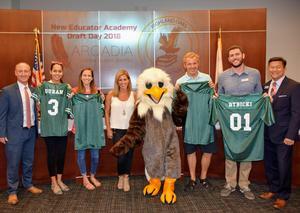 Arcadia Unified is the only school district to have each of its schools honored on ERP’s Scholar Honor Roll. 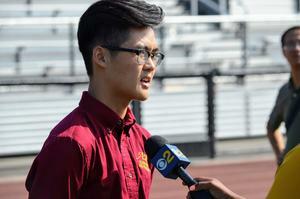 There is a new AUSD student podcast that is produced and hosted by Arcadia High School students. Listen in iTunes or Podbean.